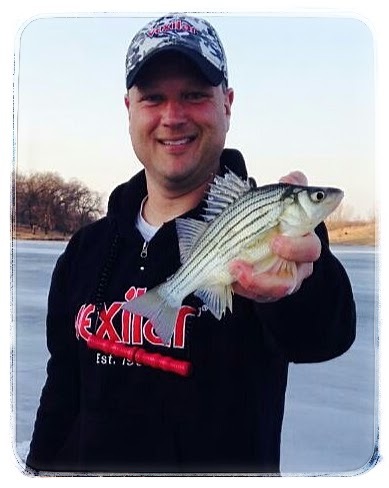 With no ice in Iowa and Christmas break looming, I just had to go fishing! A friend and I decided to travel to the Brookings, South Dakota area to find some safe ice. 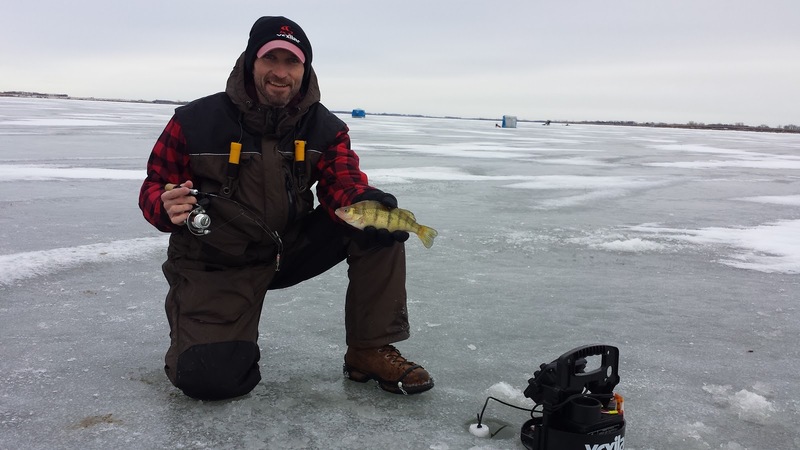 Kirk Moe, of ProMoe Outdoors assured me that ice would be available and a pretty good perch bite was just starting. 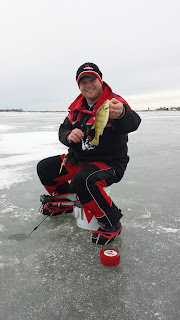 If you are looking for a trip to Eastern South Dakota make a stop to his website and he will provide a great trip for you and your ice fishing party. We found a lake that had 4-5 inches of ice and we were delighted to walking on water once again. With minimum tackle, the K-Drill and a one-man shack we made the walk to a large mud flat. It took us awhile to locate the perch, but once we did they were eating our spoons and minnows very aggressively. The key in the morning hours was to move the spoon/minnow very erratically to call the perch into your area. It was a fun bite, but the perch were on the move that morning, so drilling out different areas was necessary to stay on the fish. After the noon hour, the perch wanted the spoons, but a lot less movement, too much and they would disappear from the Vexilar not to be seen a gain. Once again, I cannot say enough about the K-Drill and its power. However, the best thing that I think sells the K-Drill is how much weight it saves on the ice. It is like you don't even have an auger with you. It you haven't had the chance to take a look at one, track me down this winter, or ask someone on the ice that has one. They are amazing. The perch were jumping around that day, so we did too. Popping holes, checking for fish activity with the Vexilar FLX-28's kept us on track with them all day. It was a long trip, but the good company and fish stories made my first ever trip to South Dakota well worth it. 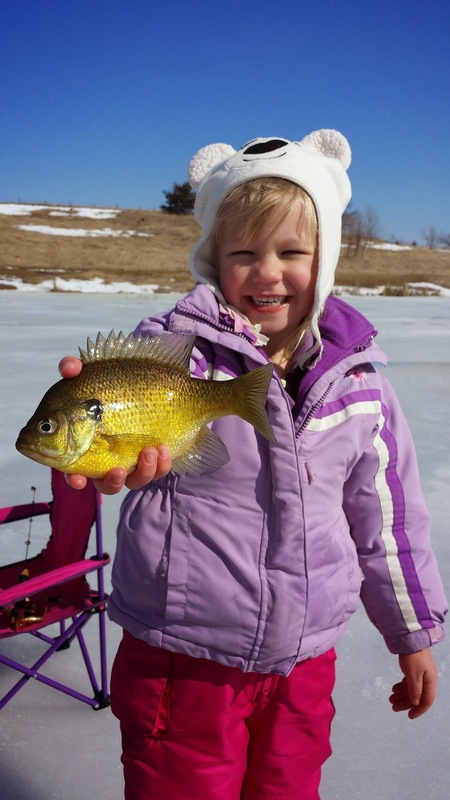 Hopefully, many more ice fishing reports will follow this one...from IOWA! Be safe out there and ALWAYS take a rope, flotation device, picks, and a friend. I have had the opportunity to speak to hundreds of people around Iowa this fall/winter about the upcoming ice fishing season. Although many of us wonder if it will ever happen...soon my fishing friends...soon. While speaking at a couple different seminars and doing a couple more in-store promotions one of the biggest things I try to help people with is understanding what their Vexilar is telling them. Your Vexilar is telling you A LOT, how an angler takes all that information and processes it is up to the user. One thing that really gets the attention of a crowd at a seminar or when speaking to a Vexilar owner is the amount of water your transducer is actually reading. To be real honest, it isn't that much, with any transducer ever made, on ice or open water. We as anglers want to believe that electronics are showing us the underwater world with vast readouts, but that is not really happening. 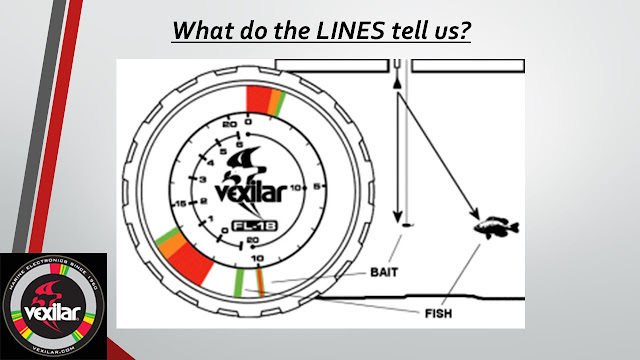 Knowing the facts will, and should open your eyes to what you are really seeing when using your Vexilar on the ice. 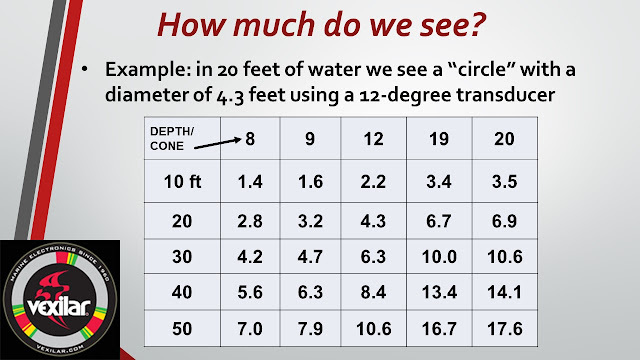 This chart shows us the diameter (in feet) of the "circle" of lake floor that the ice-ducer is showing us. If you are targeting a specific pieces of cover, rocks, brush etc, you must drill...drill...drill. I hope you have learned a few things while we await for good ice. Stay safe out there and always take a friend, picks, rope and flotation device during early ice. 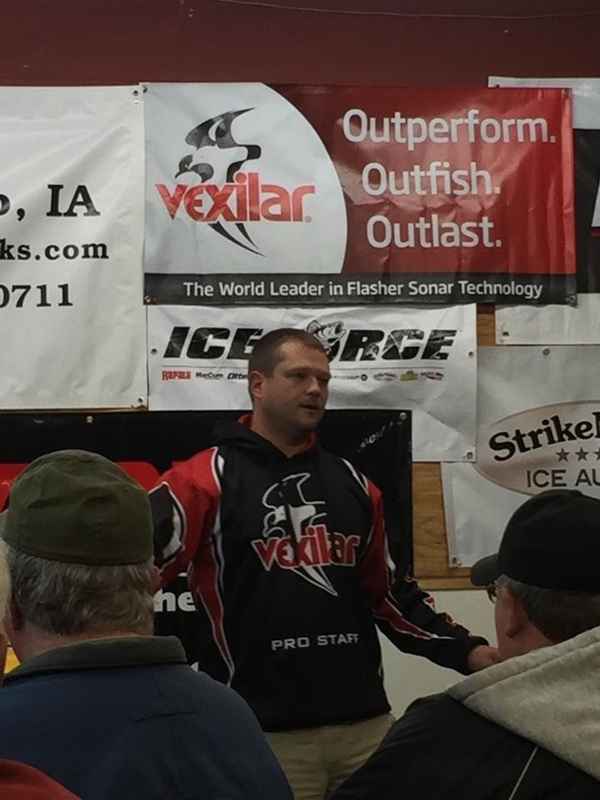 The past few weeks I have had the opportunity to present at two different Ice Fishing Seminars representing Vexilar. At these two events I presented to about 150 anxious ice anglers trying to gather as much information as they could to help them land a few extra fish this upcoming ice fishing season. A live seminar is a great way to learn some tips but I will try to pass along a few tips in the the next couple of weeks that seemed to be the biggest help to the audience. December normally marks the beginning of the ice fishing season here in Iowa, however this year the weather has not been cooperative. The past week and next week we will see many 40 and 50 degree day time temperatures here in Iowa. This will obviously push the ice season back even farther into December. During this time of year ice anglers are always chomping at the bit to find safe ice and try their luck for the first time of the year. Anglers are also getting gear ready and stocking up on new ice fishing supplies and gadgets. I had the chance to join several hundred anglers at Hank's Bait and Tackle in Waterloo this past week for their annual ice fishing open house. This tackle shop is "the" mega-tackle shop for ice anglers. If you want it, they have it! Shacks, augers, jigs, plastics, electronics, rods/reels and a full line of Vexilar flashers. Do yourself a favor and check them out for your ice fishing needs. During this ice fishing open house, I had the opportunity to present a seminar on using your flasher while ice fishing. I gave the audience many tips and tricks they can use with their flasher to help them catch more fish this winter. I really enjoy helping others understand their flasher so that they can use it to their full potential. I enjoyed it, and I know many of the audience members did too. If you have any questions about the functions of your Vexilar or have a question please contact me by email so I can be of assistance to you. Here's to good safe ice, and hopefully soon...all I really want for Christmas is 5 inches of safe ice! great times in the spring. Each year in November I am torn between one last trip in the boat and dreaming of walking on the ice to my first destination to drill holes. It's always a toss up, and Mother Nature is always in control. The boat is put away and I have started the annual ritual of getting those rods and reels ready for the 2016 season. 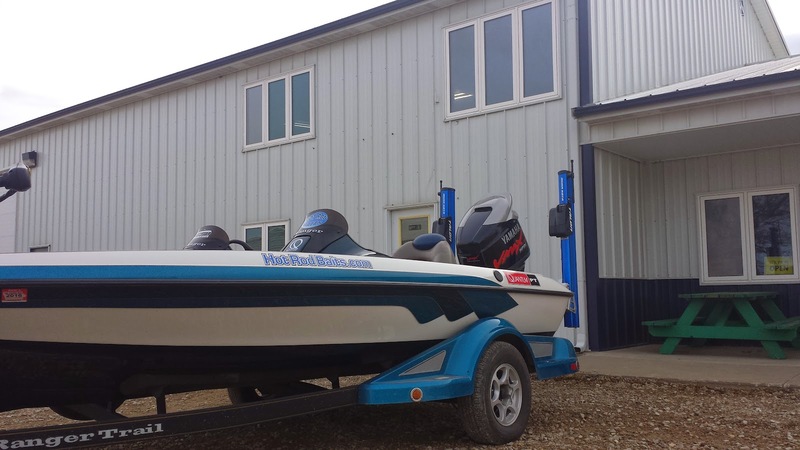 Here are few pointers I have learned over the years for putting things away so that they are ready in March for the first open water of the season. 1~ Rod Maintenance- all rods should be stored either flat or standing as straight as possible for the months of winter. A corner of my basement maintenance room had worked great for this. They are out of the way and don't get bumped into for months, just how it should be. If you have cork handles, this is a great time to get an old toothbrush and make them look like new. Add some baking soda to a bowl of water and stir. Grab the brush and solution and brush on, the dirt, grime, fish slime will melt away. Wipe with a rag with clean water and they will look like new. A damp rag will clean up foam grips too. 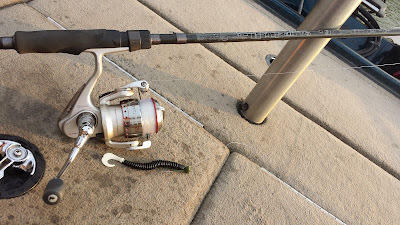 One more thing to do is to check the eyelets on your rods. Take a q-tip or cotton ball and run it around the eyelets in both directions to see if anything snags up. If so, that eyelet will damage your line and winter is a great time to get that fixed before spring. be pleasantly surprised come the spring on how well your reels will cast and how they will appear so much smoother. 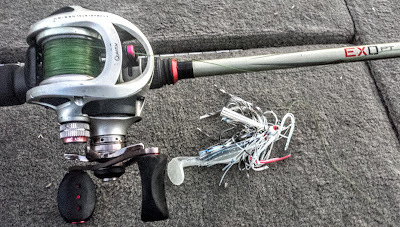 It is worth your time to give attention to your reels. 3~ Organize- Winter is a great time to get all those baits organized into tackle boxes and bait packs. I always try to make a "wish list" of items I need during the winter so I can stock up on them come spring. Many major tackle distributors have great sales during February and March and that is a great time to stock up. Organize now and you will be happy and ready to go come March. Once November rolls around my mind starts to shift towards ice fishing. I always hope for December 1st to walk on the water and drill my fist holes in the ice...but it isn't looking too promising for that this year. This warm fall weather will put a hurt on any hope of early ice, but I am still hoping Mother Nature will wake up and bring winter quickly. 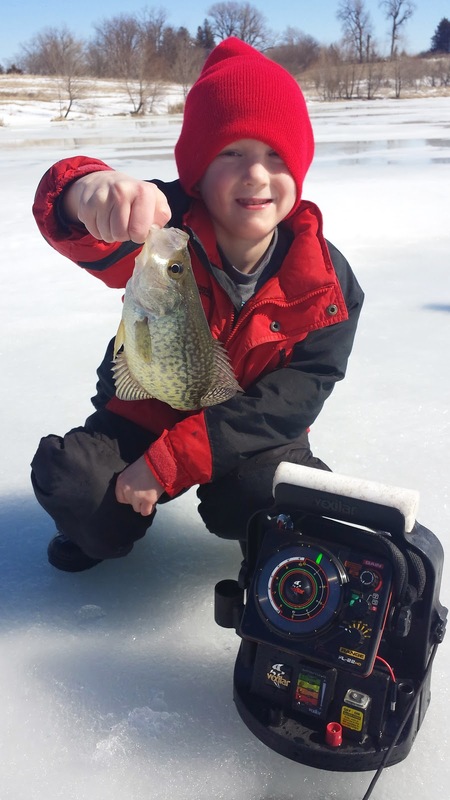 In the mean time I enjoying chasing panfish this time of year and getting my kids out to catch a few more fish before the ice comes too. 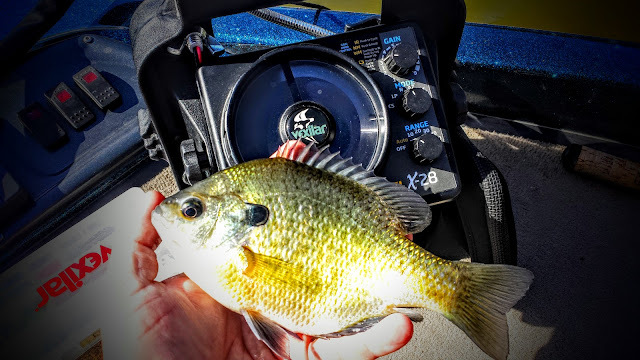 So, as I turn my mind towards getting prepared for the upcoming ice fishing season, bass will start to take a step to the side and panfish will once again dominate my free-time. Today I met up with Randy Ellison at Hawthorn Lake, a pretty typical weekend really, I have no tournaments the rest of the year and it is time to start thinking about ice fishing. However when I get a chance the boat comes out and I try to get another trip out. Today was neat because I met up with Randy, for the first time ever to fish with him. I have known Randy for about decade via different Internet forums and Facebook. Countless emails, PM's, and text messages have taken place the last decade as well as reading each others fishing reports. Our paths have crossed a couple times at tournaments but that has been it. Today we shared the boat on a lake and it is like we have been close friends for years. I guess the Internet is good for some things...like starting great friendships! I always enjoy fishing with new people and today was no different, it was a great day on the water. 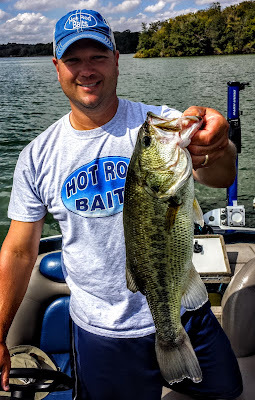 Lake Hawthorn was a little stingy, by its measures anyway, only giving up 20-25 bass. However, we slowly learned that the bass were only interested in slow moving baits and they were definitely hanging in summer areas. Almost all our fish today came in water depths greater than 8 feet deep. 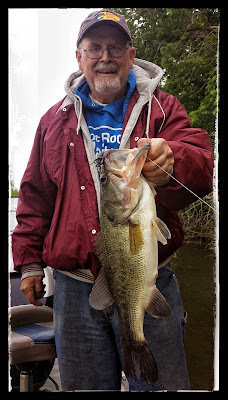 I caught most of my fish on Hot Rod Baits Big Craw, while Randy did his damage with a Wig's Jig and Chunk trailer. 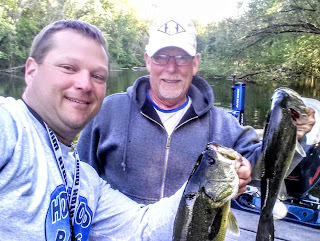 It was great fishing with Randy, he has the same work ethic for finding bass as I do and we worked well together to score a lot of keepers today. I would share my boat with Randy anytime in the future, whether it be another fun trip or a big tournament. Although the calendar says September 27th, the water temperature gauge was saying 72 degrees, which is probably the reason we had to move to deeper water to catch fish. The ones we did catch were nice fish, including 8 keeper sized bass (over 16-inches) came into the boat today. October is almost here, perhaps that month with begin the fall "feed-up"! Once again I was asked by Kevin Christensen to team up him one last time this year to complete his season fishing the Bass World Sports Team series. There are six events throughout the year and I was able to fish one earlier in the year with him too. It is always great to fish with Kevin, as he has been biggest reason for me getting into this sport of bass fishing way back in high school. Well, that a "few" years ago but I still look forward to spending any time in a boat with Kevin. Kevin and I spent quite a few hours the weekend before this event scouting things out on Pool 9 of the Mississippi. We found a few areas that were had bait and plenty of bass, but most were not the right size that we were looking for. We knew things were not going to be easy, especially with the river slowly dropping all week long. We met up Friday night after work and made our plan on what we found the week before. Our plan to lock up to pool 9 was delayed by a barge already in the lock when we got there. So we tried a few main river places as did the other 10 boats waiting for the barge to come through. I boated a keeper smallmouth to keep our moods slightly positive and then it was time to get up to pool 9 to see if our areas were still holding some bass. We fished as hard as we could and covered a lot of water tossing a variety of baits. Kevin caught a nice largemouth on swimjig covering a weebed, but things were slow for us. We just kept trying and with only 30 minutes or so left before we had to get back to the lock Kevin set the hook on something good. A beautiful smallmouth came aboard which weighed 3.78 pounds. The next cast, another one, but smaller. We worked this area over and cast after cast smallmouth came aboard. It was a nice school of fish which loaded our boat fast and changed our attitudes about this tournament. 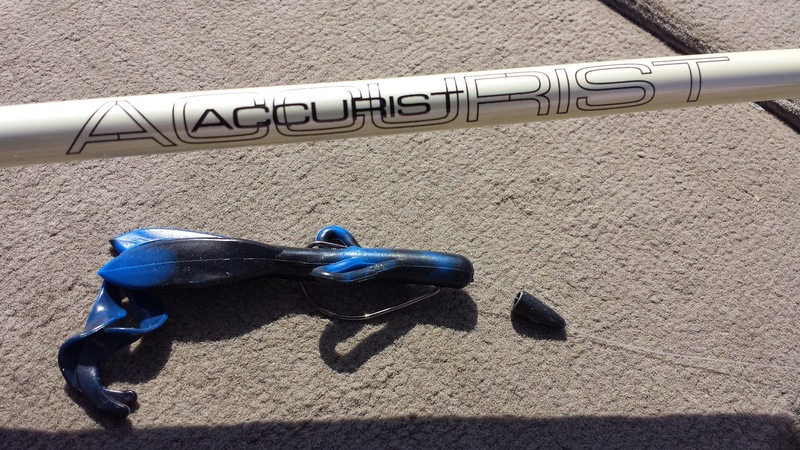 It was one of those things you always hope for when you fish the river, but it rarely happens. The big key to catching these fish was to drag a Hot Rod Baits tube or Big Craw until one of the smallies attacked it. The Black/Red Big Craw was working for Kevin well and the Christmas Tree and River Minnow Tube were top colors for me. With time running short we continued to make cast after cast hoping for the bigger ones to bite. On one of my last casts I boated another nice one just under 18 inches...but time was up. A barge was coming and we had to get back through the lock. We ended up with 12.81 pounds for 7th place. It was a good bag of fish, but that day a lot of teams seemed to find the smallmouth biting on Pool 10 and 9. Who knows what would have happened if we found that school earlier in the day, or if we had more time to fish the area longer...but that is fishing and that is why we are both addicted and can't wait to go after the bass again! This past weekend marked the 2nd stop in the Hot Rod Baits Bass Series. This is a circuit that I designed, organized and with the help of some friends run throughout the year. My partner for these adventures is Brian Bowles. This event took us to Harper's Ferry in the north end of Pool 10 on the Mississippi River. With all the tournament organizing and communication wrapped up it was time to focus on fishing for the weekend. Brian and I covered a lot of water in Pool 10 on Friday, however we didn't like what we saw, only a few small keeper largemouth bass. We decided that we should focus in on some areas that treated me well last weekend up a pool in #9. Our practice showed us that there were definitely the right kinds of bass biting in that pool amid the areas we tried. We decided to test ourselves and go to Pool 9 to fish the tournament on the following day. This however, means that you must go through a lock two times during the competition day...which is always a risk. The actual fishing was slow on Sunday, and we knew that it would be. Most teams that were talking after Saturday only commented on how slow the bite was or even non-existent. We knew that if we could get 6 keepers (the tournament limit) that we would be just fine. 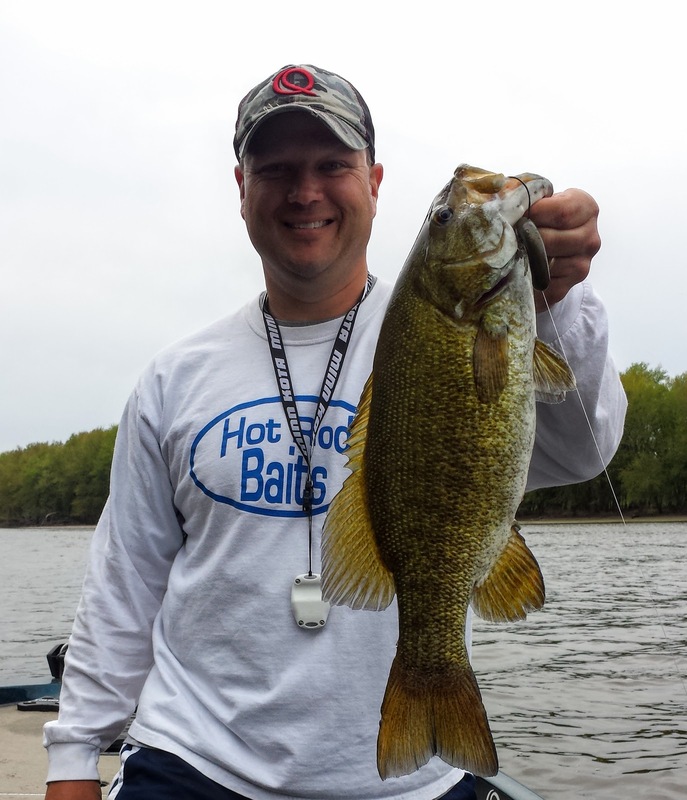 We started the day off on the main channel (after about a 1.5 hour fog delay) and caught one on a Hot Rod Baits Tube. We then followed our plan to fish some backwater areas of Pool 9. It was a repeat, Texas-rigged tubes were working, however this time two keeper largemouth came into the boat. It was really nice to be able to put the Minn Kota Talons down and work over every piece of wood and weed bed. Our time was running out, as three barges were headed south to go through the same lock that we had to get through and make it back for the 2pm weigh-in. We had 3 keepers, but that wasn't going to do much for us, so we gambled and made our way to another backwater area that was full of weeds and hopefully bass. 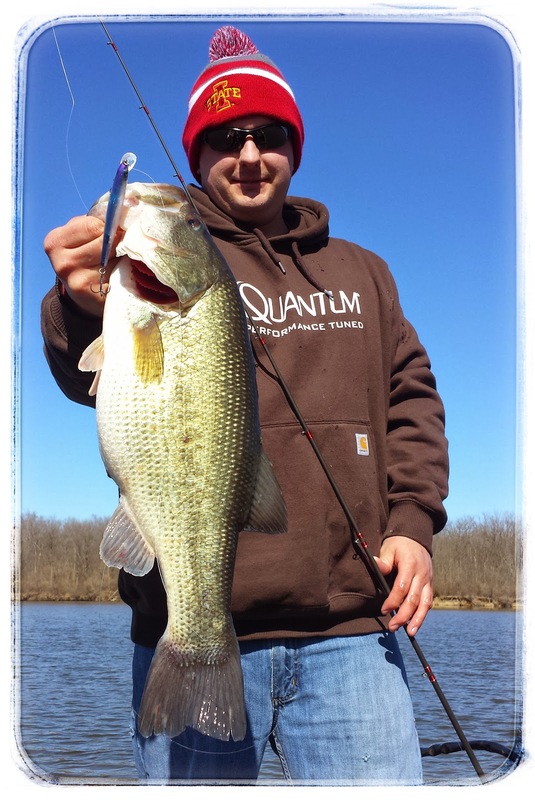 I quickly hooked up on our largest bass for the day on an Optimum Baits Furbit Frog. Brian added keeper #5 flipping a River Minnow tube from Hot Rod Baits. We had five keepers and we knew we had to get going to make the lock before the last barge that afternoon. We made our south towards the lock and went by the barge that we had to beat, no problems, we were feeling pretty good. However, I made the dreaded call that no bass angler really wants to make. As we got close to lock, a barge was there and making its way through. It was about 12:30 and lack master said that it would be 1.5 hours until the lock would be free for us to go through. This was the worse news we could have heard. We sat discussed trying to make sense of it, but we couldn't. We did everything we could, practiced hard, had the areas to catch some quality fish, and now it was all for nothing. We probably wouldn't even get through the lock until after 2pm, ruining our tough, but great day of fishing. We looked at each other knowing that the horn was signaling the barge to go south. We thought we had a slight chance...and then the doors opened for us! We, along with another pontoon (who most likely though we were crazy as we were clapping the process on) quickly made our way into the lock and the doors closed behind us, I watched the seconds tick by on my GPS, both our hearts pounding. The doors opened at 1:54pm and we made it back to the weigh-in with 2 minutes to spare, it was quite a ride on Mississippi River that day!!! Oh, and our 5 keeper bass earned us a 3rd place finish with a nice payday! For the second weekend in a row the river was very tough, but in the end very kind to me and my partners. This past weekend I was able to participate in a club event at my favorite water, Pool 9 of the Mississippi River. These club tournaments are some of my favorites to fish because all the competitors are my friends. Fishing against one another is one thing, but the hanging out after the tournaments chit chatting about various things really makes the trip more enjoyable. This particular bass club has a random draw for partners. There is no such thing as a bad draw in our club, but I was fortunate to draw Don Henry, we fish together quite often throughout the year and we both were looking forward to the journey north. Don and I left Thursday evening so we would have the complete day on Friday to practice and look around the pool. Tournament day were Saturday and Sunday, so using our time wisely was key for us finding different areas. We had decided to start in some backwater areas of Pool 9, however with the water above 10.0 feet current seemed to be flowing almost everywhere. We located some clean water and had some keeper bites (14-inches on the Mississippi River) on Friday so we thought we could get a few to start the day. 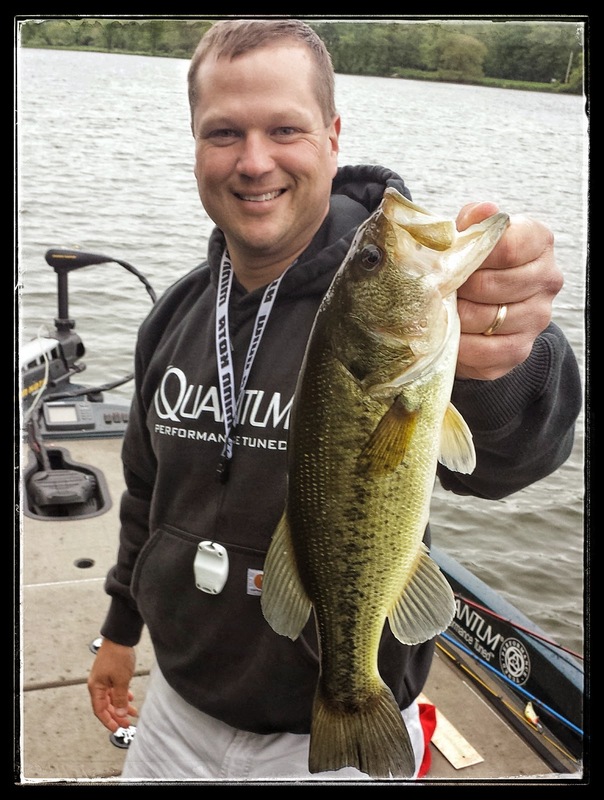 We sure did, slinging swimjigs with a Quantum EXO combo is one of my favorite things to do at the river, and the bass were hitting them hard this day in the shallow weeds. We were having fun and even took a few seconds to snap a "double keeper" selfie! These two fish were caught with the Minn Kota TALONS down so we could make long casts in the clear waters. While we started the day with swimjig, my saving grace for the weekend was the Optimum Baits FURBIT frog. This caught me my largest fish on Saturday and numerous other key fish over the weekend. This frog has so many great things about it that help anglers catch more fish in the weeds than any other frog out there. To name just a few, it has 6/O hooks, the weight in under the hook, giving it a huge hook-up ratio and the life like legs are second to none. These frogs have been a key for me in so many tournaments throughout the years that most of my competition and friends just have to buy them too! I finished the first day with a 5 bass limit and Don had 2 keepers. This put me in the lead after day one, and Don was still in the hunt. Day two of the event started with rain, wind and cooler temperatures as well as the river continued to drop about 3-4 inches a day. All these factors were making the fishing tough, and limits at a premium. Mine was the only one of the first day. We decided to start in the same areas as we did on Saturday. Things were much slower, but the swimjig and Optimum frog once again got me 3 keepers in the boat in the first few hours. Don was sitting with only one, and it was time to make a big change in our strategy. Either the fish we were catching in the weeds were gone due to the dropping water, the weather changes or fishing pressure we knew we had to forget about them. We moved on to some main river current where we found some fish on Friday. It is a stretch of main channel that I visit often while on Pool 9. It has heavy current and normally has baitfish present. It was a risk that I was willing to take and it paid off. We immediately started to catch fish on spinnerbaits fishing the main channel. I was able to fill my limit pretty quickly and then Don took over the boat. Once again the TALONS were anchored down several times in the main channel current. Each and every time I use the shallow water anchoring system I am impressed. The heavy current was no match for the TALONS on this day and allowed us to stay where we wanted and not waste time going backwards in the strong current. With just a few minutes left of the tournament Don connected on his fifth keeper of the day too, a joyous moment no doubt. The weigh-in concluded and left me with in first place as I was the angler to have 10 keepers over the 2-day event, and Don finished with 7 keepers and in second place by over 4 pounds. It was a frustrating but rewarding weekend for me. I was unable to find fish over the 2-pound mark, however when keepers were as rare as gold nuggets catching 10 of them was the rewarding part. This past weekend was an "off" weekend for me as I had no tournament scheduled. This allowed for some fine tuning of skills for upcoming events on the Mississippi River. With one day to fish I headed to Hawthorn Lake, which has many features of the big river. Weeds, rocks and plenty of shallow water to get my mind sharp for the trip northeast. Ken Lundsford joined me on the trip and we quickly found out that the bass on this lake were not going to play very nicely this day. A huge cold front hit the area on Saturday and continued on Sunday. The drive to the lake early in the morning was done with 46-degrees on the thermometer. Quite a blast of cold air for the last day of May! Ken pulled a couple early with a swim jig, which is what we were hoping to catch them on this day, however that was short lived. The vast majority of bass we caught this day were on jigs or Hot Rod Baits tubes and Big Craws. 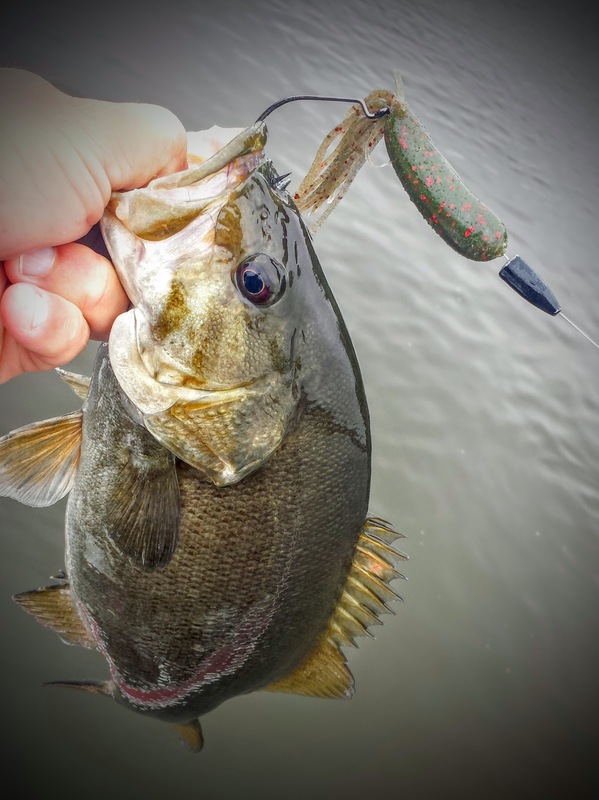 At times the bass would hit the swim jig amid the shallow weeds, but for the most part they wanted a slower presentation. 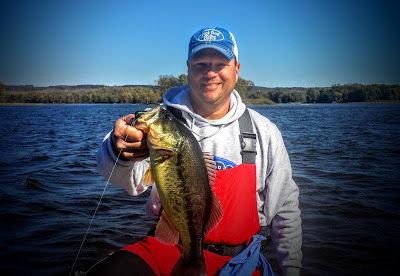 With a cold front settling in it didn't really surprise us and we enjoyed the day catching dozens of bass. Many of those bass were brought in the boat while utilizing the Minn Kota Talons. These continue to impress me, and did once again this time out. Wind gusts were 15+ MPH and the Talons anchored right down. They save time while tying on baits, throwing multiple casts at one target, the list goes on and on. A great addition that are worth every penny spent. I enjoy fishing for bass no matter the location, however, the Mississippi River is by far my favorite place I have ever been to. So when I got a call from my long-time mentor Kevin Christensen to fish a tournament with him, I was all in! 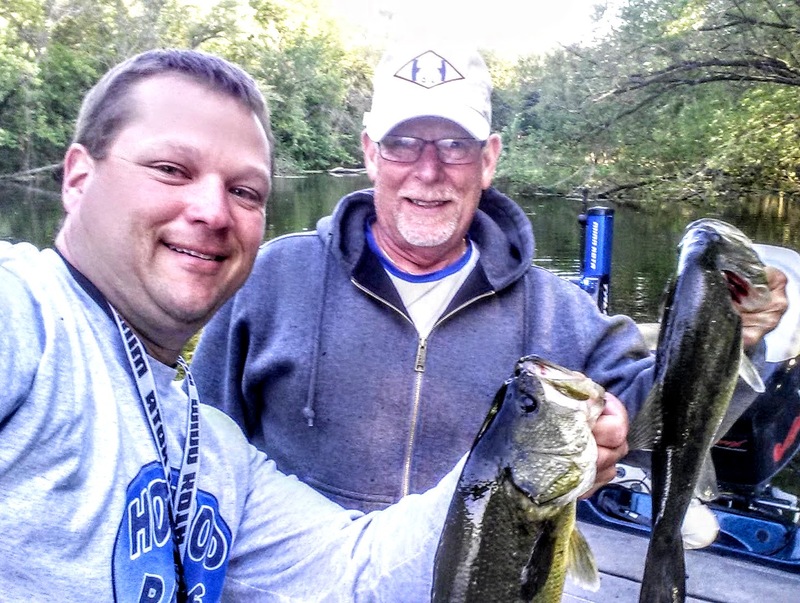 Even though Kevin and I talk almost weekly throughout the bass fishing season, we seldom get to fish with one another, and it has been almost a decade since we fished a tournament together. To say the least I was excited to get the chance to fish with him, and I think he was looking forward to it too. The tournament was held out of Harper's Ferry on Pool 10 of the Mississippi River. Kevin had decided to lock up to Pool 9 and I was all for it. We both had spent some time earlier in the month on Pool 10 and just can't seem to get things going yet. Reports from the river have been pretty slow this year, with the bass just not relating to normal areas as they normally do. With that in mind, we knew that if we could get around 12 pounds of bass we would be in the mix of things. We focused our time looking for bass in heavy current, mild current and off sloughs with little or no current. We couldn't find much going on in the heavy current so we focused most of the day around little or mild current. We did catch a few bass in areas with no current too, you just never know about river bass sometimes! We kept our Quantum PT rods and reels busy all day pitching jigs with Hot Rod Baits jig chunks, and Hot Rod Baits Big Craws to catch all of our fish on the day. We caught fish anywhere from 2 feet to 8 feet deep. We fished well together, and I even had Kevin laughing a time or two keeping the mood light as went along through the day. 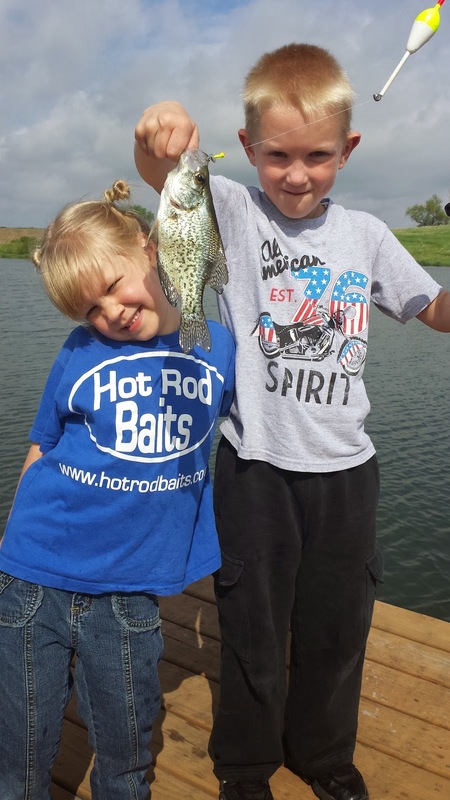 We didn't catch a big number of fish, but we definitely had the baits in the right areas to catch keepers, as we caught more keepers than bass under 14 inches. It was a great day of fishing and even better once the weigh-in was over. We ended up in 2nd place with 12.37#, just a tenth of a pound from first place. We brought home a nice pay check for the day and earned some very valuable points for Team of the Year for Kevin and his regular partner Gary Satterlee. A win-win on Mississippi River on tough weekend where we earned every bite and every bass. Yesterday was one of those opportunities that came up and I knew I had to take advantage of it. It was a gap in my schedule and although the weather had taken a turn for the worse, I just "had" to go. A quick call to fellow angler Dave Jordan and we were set to fish Union Grove Lake. A couple different reasons brought us to this lake. First, it only takes about 20 minutes to get to, and every minute is valuable after a day of work, and secondly this lake is set to be drained at the end of this month. Union Grove Lake has an excellent population bass, with plenty of 14-16 inch bass in it. A typical trip to the lake on a 3-4 hour trip usually leads to catching 15-25 bass. With the night time temperatures plummeting into the low forties the past two nights we weren't quite sure what the bass would be doing. We began by one of us throwing crankbaits, spinnerbaits and swimjigs, while the other one would throw a slower bait. While the crankbait did catch some bass, the Hot Rod Baits Tubes really were the hot ticket for the night. Dave went to his stand-by bait pretty early in the evening, the black and red tube bait and I am not sure he put it down. Bass after bass came in the boat this night, mostly on tubes of various colors. While anchored down with the Minn Kota Talons in a large mess of laydown logs Dave hooked into the big one of the night. It was 4 pounds and 9 ounces. A huge bass, especially for this lake. It had already spawned out and it was a beautiful fish. After the picture was taken it it was promptly put back. We ended up catching 5 bass over the 15-inch keeper mark and we estimated about 40-50 bass for our four hour trip. It was a great trip, and perhaps it might be my last trip to this lake with the renovation staring in a week or so. I will definitely miss this lake as they make improvements to it, but in the long run it is the best thing for the lake. I have had a couple weekend without competitive fishing, which always brings me back to why I enjoy fishing so much...it is just FUN. Sometimes I get wrapped up in the game of fishing tournaments and lose some of that "fun". When I get that feeling I just need a trip or two to have some fun catching fish. The past couple years the best people for this are my kids. My boy is now 7 years old and my girl is 4. 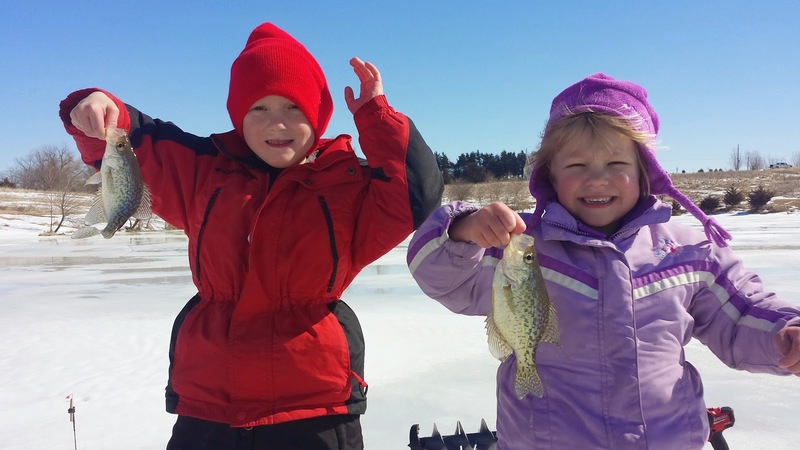 Both love the outdoors and love everything about the process of fishing. These two can always bring a smile to my face and help me realize that smiles should be the norm when fishing. 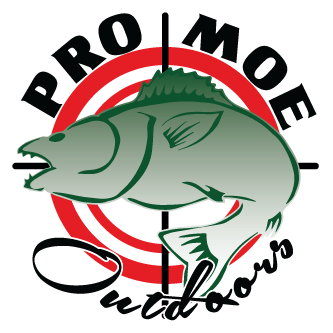 Don't get me wrong, I love fishing tournaments and I am always looking forward to the next one to test my abilities against other anglers, but everyone has to take a break once in a while and have some fun. This past Saturday we headed to a local farm pond to try our luck. Once we found the depth of water the crappies were holding at, it was all catching! Fun really doesn't describe the couple hours that we were there. After catching a few dozen fish the kids spent 30-40 minutes just playing with the fish they caught that were in the cooler. This gave me a chance to even catch a few, which doesn't happen too much with my two fishing buddies...which doesn't bother my too much. Take a kid fishing if you can, or an adult that doesn't get out much anymore, it will light up their day and put smiles on all your faces. 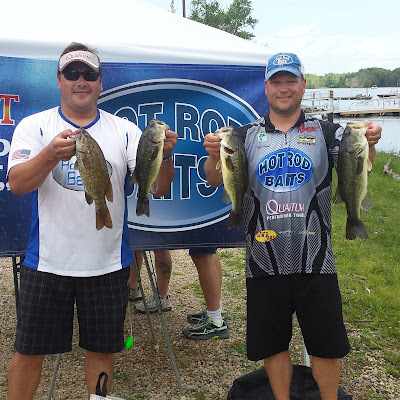 This past weekend I participated in the 2-day event at Pool 10 of the Mississippi River. 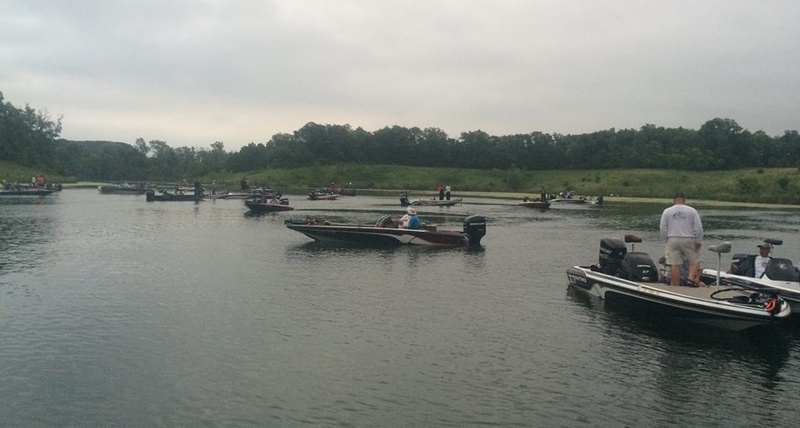 This tournament is jammed full of the states/and neighboring states best bass anglers. I haven't participated in this event for 10 years, so I thought I would give it a try. The tournament set-up is rather unique, instead of payouts, when you do well, you get to advance to another tournament the following year. If you do well at the Regional, then onto the National tournament the year after that. This could lead to fishing against the best the bass anglers in the world at the Bassmaster Classic. It is quite a road, but a couple of Iowan anglers have done it, and hundreds of us dream about it...on to the first event of two. The spring event is a two-day event. I was able to practice on Friday and found some areas that I felt comfortable with in Pool 10. I had also crossed off many areas which is as important as finding good areas. I quickly found that current was the key to holding fish this particular day on the Big River. I had the plan to stop and fish my best location in Pool 10 and then lock up to Pool 9 quickly to areas that have produced for me year after year in the spring. The plan was good, until the lock turned me back due to barge traffic. They wouldn't allow me to go to Pool 9 and thus I spent the day in Pool 10, which didn't pay off. I only weighed 2 bass out of a 5 bass limit on day 1. Day 2 I decided to go straight to my areas in Pool 9. It was a good plan and I caught a limit of 5 bass which averaged over 2 pounds each. Not exactly what I was hoping for but after day 1 I was happy. My boat, motors and Talons worked flawlessly. Every time I use the Minn Kota Talons I am more impressed. 20+ mph winds and Mississippi River current won't bother me anymore, I just push the button to activate the Talons and I am set to make multiple casts in one spot. They really secure your boat and boost your catch. As usual my Quantum Rods and Reels are solid and never let me down, high quality for the right prices is what Quantum Fishing products are all about. 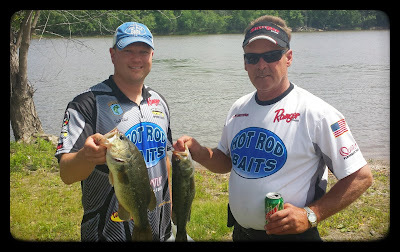 I can't forget Hot Rod Baits, the best plastics out there, the River Minnow tube caught just about every fish I weighed in, and I know for fact that many other top placing anglers were using Hot Rod Baits too. Great durability and incredible scent make them a go-to bait. Any trip for me to the Mississippi River is a good one, but this one was bitter sweet. I didn't do as well as I hoped, but it wasn't my equipment, my fishing, or state of mind, it was all about an on the water decision. It is easy to cast blame on that decision I made on Saturday to wait and go to the lock later in the morning, but it's easy now that the tournament is over to point the fault. I do believe I had located some fish, and had the baits to catch them, but now I can only wait for the Fall event to show what I can do. I know I will take this tournament and learn form it, and that is what tournament fishing is all about, live and learn to become better. Final standing aren't posted yet, but I will update that when they are finalized. 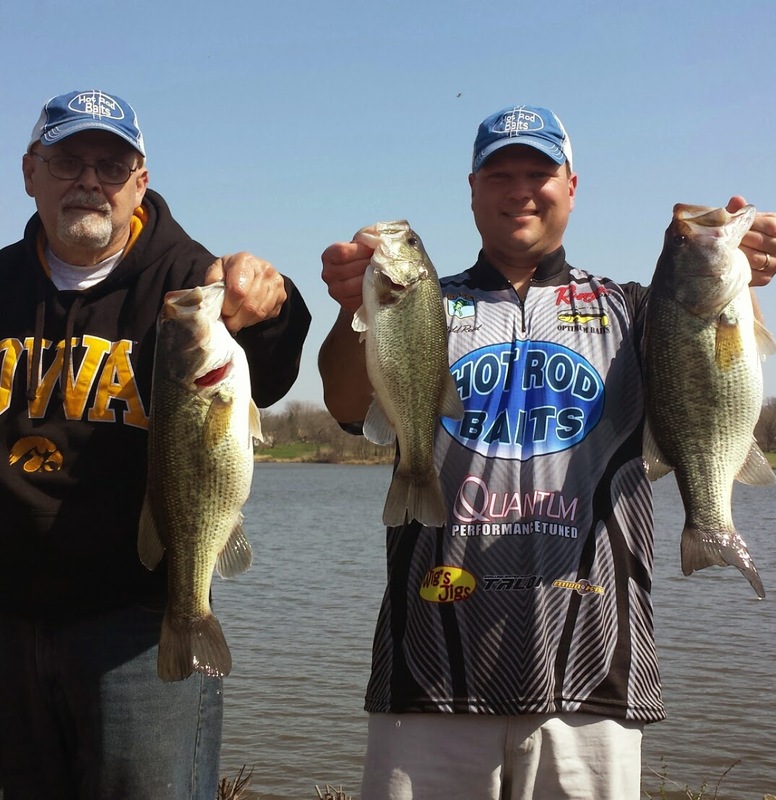 Until then, more information about the Iowa State Bass Nation can be found online. I took advantage of a small window of nice weather this weekend to continue to hone my equipment. 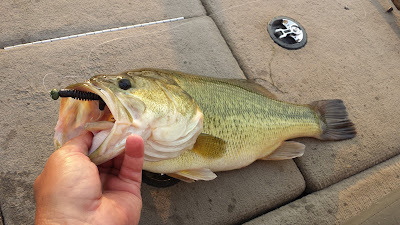 I made a quick trip to Union Grove Lake to fine tune some rod/reel combos and continue to see what the bass are doing currently. Any time that you can get on the water and catch bass it will lead to more success later, especially in the spring time. The few hours I was on the lake brought several different wind changes, the only thing that didn't change was that the wind blew 15-20 mph all day. This led me to really give the Minn Kota trolling motor and Talons a major work out. 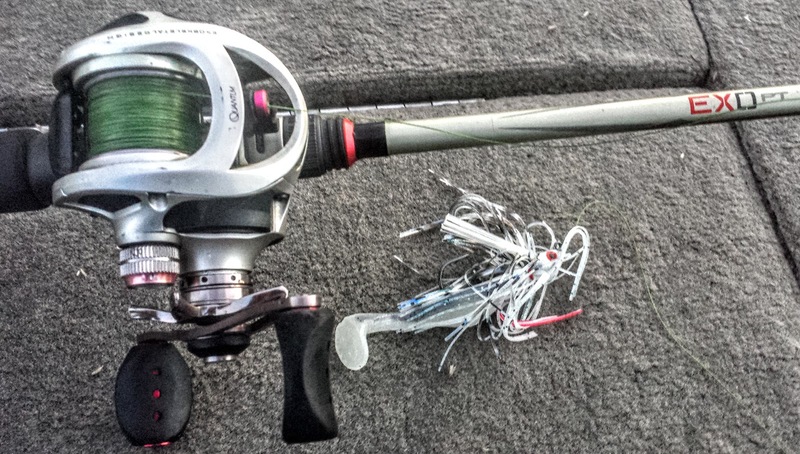 The big tournament season starts next weekend and equipment failure cannot be an option. The Talons continue to impress me, with whitecaps on the water, a quick push on the remote and the anchors lock you down in seconds. They are a game changer. It is always good to give your boat a rigorous test in the spring to make sure your batteries are still good and can keep a full charge. 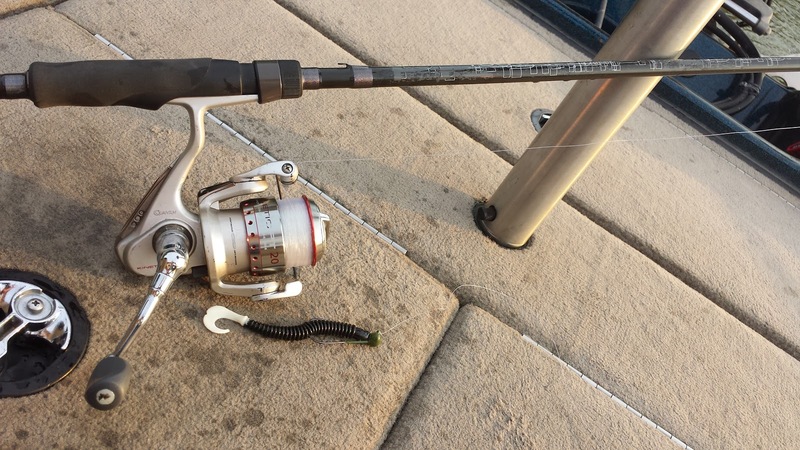 The wind also allowed me to dial in the Quantum PT rod and reel combos. The more wind, the more challenging it is to make long casts. This is a challenge each spring to get the reels tuned to my specifics. I was able to get a few more combos ready for the upcoming tournament season. 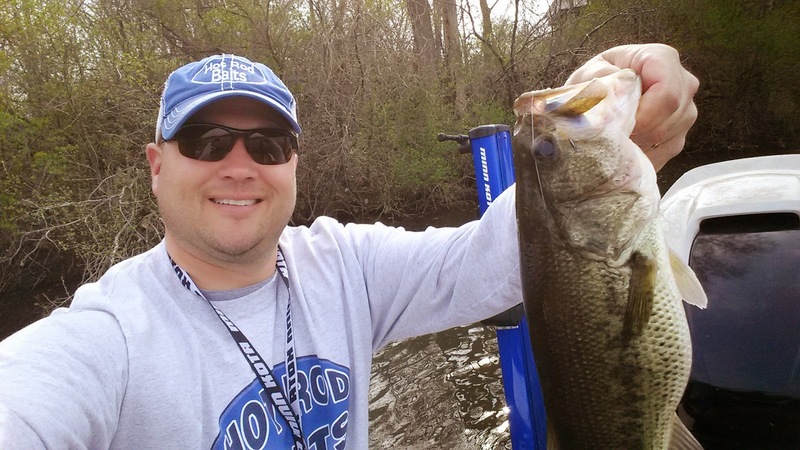 Between the rod and reels, trolling motor, and Talon I was able to catch quite a few bass. The bass were shallow and eating craws, so a Hot Rod Baits tube and big craw did most of the damage. As the sun got up around noon a few fish were fooled by a crankbait too. All in all about 2 dozen bass and 4 at the keeper size were caught. A great short trip to Union Grove Lake and a true test of the equipment that is ready for another tournament season. Each year the Iowa State Bass Fishing Club invites me over to speak about various topics. This group is quite an assembly of college kids, many of them fishing tournaments all over the Midwest on the FLW College Fishing Series. It's a great group of young men and women and they are always eager to try and pick up a pointer or two from the experiences I have had in my fishing adventures. 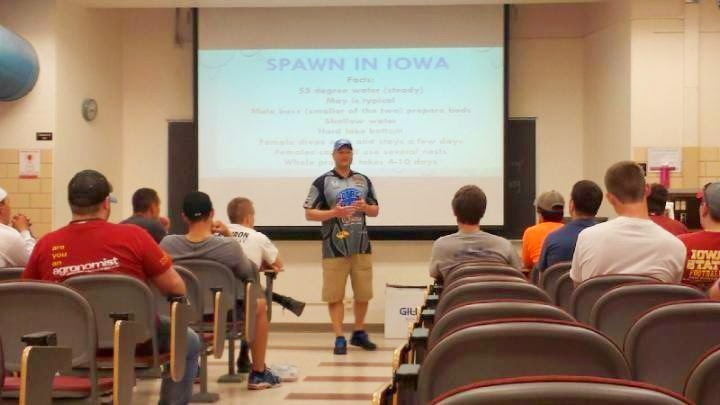 This past week I was on campus to talk a little about tournament fishing and about the spawn in Iowa. I gave a few facts, some reasons why fishing is difficult during the spawning season and what adjustments to make when the spawn causes tough fishing. It's a privilege to speak to the next generation of bass tournament anglers and I sure hope they all picked up a few pointers to help them catch some more fish and understand the great products I stand behind. Saturday started the bass tournament season for me. Hot Rod Baits hosts a "Frosty Rods" tournament each year in early April. Once again the event was scheduled at Rock Creek Lake. 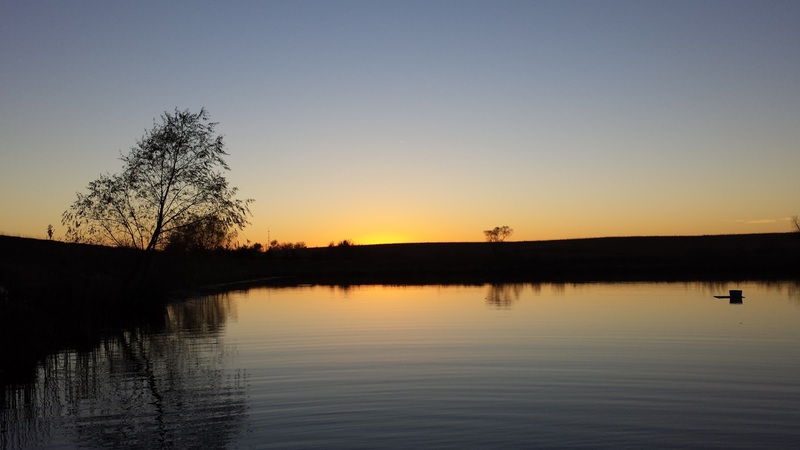 This lake brings anglers from all over the state in search of the big bass that live there. Each and every spring anglers bring in some the biggest bass of the year at this lake. This years tournament wasn't much different than years in the past. The big fish showed up again. This year I partnered up with long-time friend Dave Jordan. As we loaded the frost covered boat in the morning we knew that the early bite probably wouldn't be that great, so we didn't get too concerned after the first three hours of fishing without a bite. That was the first half of the tournament, we still had half left. The water warmed up to about 53 degrees and around the noon mark we started to catch some bass. We caught all our fish in depths under 6 feet of water, and each fish was caught on a Hot Rod Baits Big Daddy in the Bruizer color. We worked well as a team and tried many different techniques including; crankbaits, jerkbaits, spinnerbaits, jigs, tubes and craws. It didn't' seem to matter what we threw at them, for some reason they were only biting on the Big Daddy. After catching a few smaller bass, we were relieved when I swung a 15 1/8 inch keeper in the boat around noon. It wasn't much but it gave us the confidence to keep pressing on and keep throwing the big daddy. We kept pressing on and soon after the first keeper I was able to catch our biggest which weighed exactly 4 pounds. The wind was steady all day and often had gusts up towards 25mph, we put the Minn Kota Talons anchoring system to work often to fish key shallow water areas. We kept at it, and with about 30 minutes to go we had our third keeper in the boat and we were feeling pretty good. Once again, the Big Daddy pitched in shallow water on a Quantum Accurist 7 foot 6 inch combo got the job done. We ended up in 2nd place with 8.57 pounds, which is a great way to begin the year of competitive bass fishing. The last day of March proved to be a great beginning to some big fish in 2015! This one topped out at 5 pounds 10 ounces. It was released back into Rock Creek Lake to catch another day. With any luck I will catch a few more like this in April.